Objectives: This study sought to determine the diagnostic utility of serum pre-albumin in predicting weight loss in hospitalised children. Setting: Aga Khan University Hospital, Nairobi, Kenya, a tertiary care hospital. Subjects: A total of 170 children aged 29 days to 15 years who met the inclusion criteria were included in the study. Outcome measures: Serum pre-albumin levels and weight were measured at admission and repeated after 48–96 h. Sensitivity, specificity, and positive and negative predictive values were calculated to determine the diagnostic utility of serum pre-albumin in predicting weight loss in hospitalised children. Results: Of the 170 children studied, 57% and 60% had a drop in serum pre-albumin level and weight within the first four days of hospitalisation respectively. A drop in pre-albumin occurred in 68% of the 103 patients who had weight loss (p < 0.001). Using a serum pre-albumin cut off point of < 0.15 g/l at admission, sensitivity and specificity of serum pre-albumin in predicting weight loss were 76.7% and 29.0% (negative predictive value = 42.9%; positive predictive value = 64.2%). Positive and negative likelihood ratios were low at 1.08 and 0.8. The majority of the patients (72.3%) were already at risk of malnutrition as determined by the pre-albumin risk stratification on admission. Conclusion: Serum pre-albumin is not an accurate surrogate for weight loss during hospitalisation. 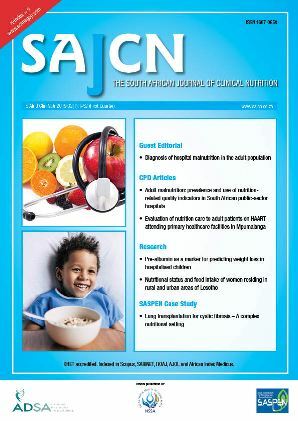 It is, however, useful in identifying patients at risk of malnutrition on admission and during hospitalisation.